Today’s post is about a plant that is new to me. It has been hanging around the local garden centre for a year or more, looking like nothing very special on the bench but intriguing me and tempting to buy it (or one of the others in the batch) but a few weeks ago I saw they had buds so I took the plunge. 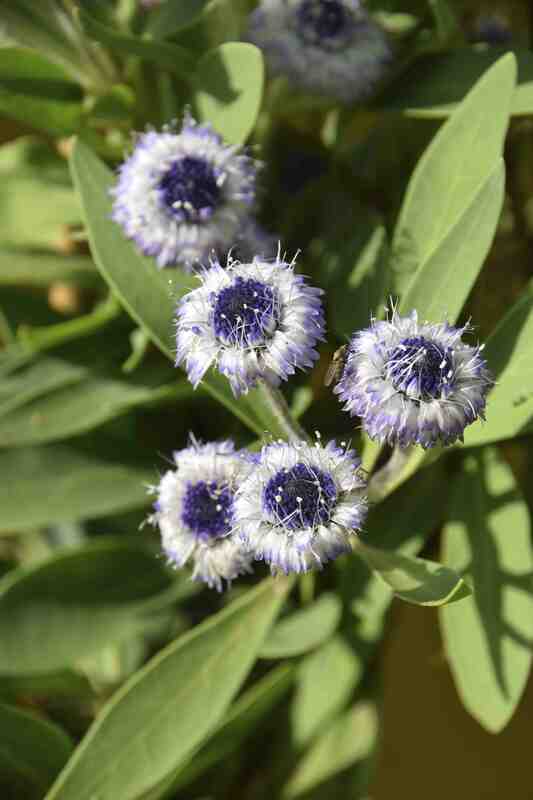 Globularia are familiar to me through the low, ‘rock garden’ G. cordifolia which has a creeping habit and a succession of ‘scabious-like’ flowers in pale blue in summer. I must admit that it is a plant that has always hidden its charms from me, even though it has an AGM. This species is a different proposition and is a rather lax, low shrub reaching 60cm high. Despite the fact that it comes from North Africa it is hardy (a fact proved through watching it survive a year on the garden centre bench!). There is little cultural information about it but, judging by its natural habitat, it would be logical to expect it to like full sun and perfect drainage. I am not 100% cerrtain of the identification of the plant and there are many Canarian endemic species in this small genus of 20 or so species. 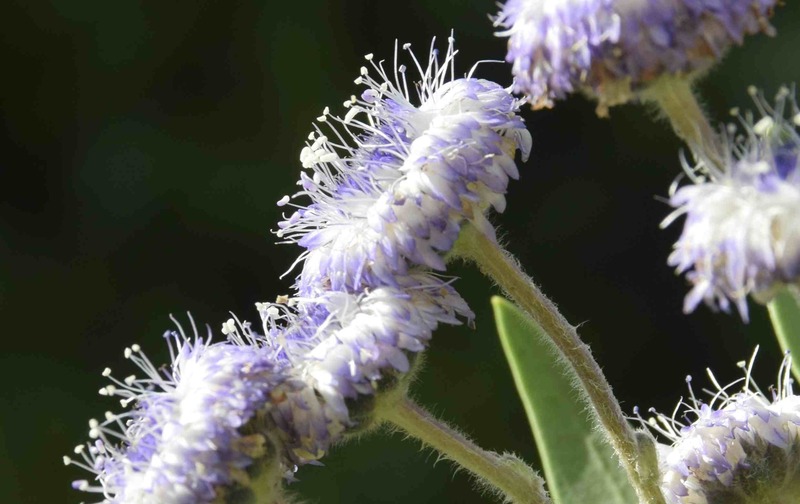 They are remarkably consistent when it comes to flower size and colour, the flower heads (capitula) varying from 1-3cm across. It is a member of the Plantaginaceae, the same family as foxgloves and penstemons, and plantains of course, and those prominent anthers do give the game away a bit when compared to a plantain flower spike. Even so it is a bit more showy. 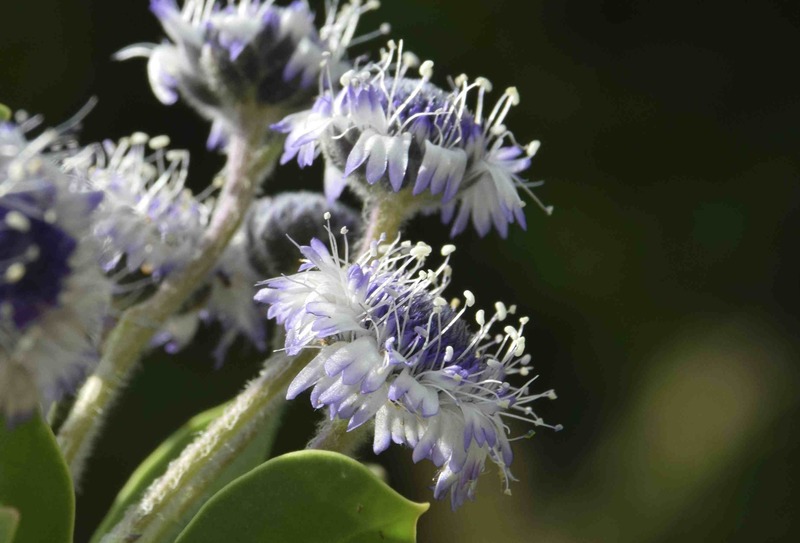 The flowers open from the outside of the flower head, the inner flowers tight in bud to give an ‘eye-like’ effect. The foliage is grey-green and nothing very special and most references I can find suggest that it flowers in spring, which would be logical for a Mediterranean plant. But this specimen flowered in late July into August so who knows if I have the right plant. Judging by what I know of the plant, it would be a good companion for Convolvulus cneorum and cistus. It is too early to give this a rating. I don’t think it will be showy enough for a high score but I love the flower structure and colour.